On a Tuesday evening in April 1968, the ferry Wahine set out from Lyttelton for Wellington. Around 6am the next morning, cyclone-fuelled winds surged in strength as it began to enter Wellington Harbour. At 1.30pm, with the ferry listing heavily to starboard, the call was finally made for 734 passengers and crew to abandon ship. The news coverage and documentaries in this collection explore the Wahine disaster from many angles. Meanwhile Keith Aberdein — one of the TV reporters who was there — explores his memories and regrets over that fateful day on 10 April 1968. 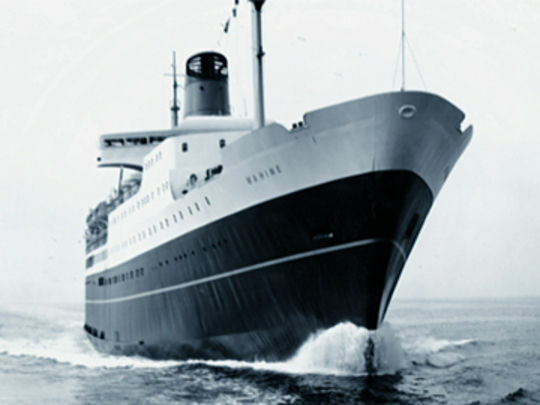 On 10 April 1968 the Lyttelton–Wellington ferry Wahine ran aground and sank at the entrance to Wellington Harbour. Fifty-three people died as a result of the accident, 51 on the day. These news features include aerial footage of the ship after the storm, and NZBC reporters conducting dramatic interviews with survivors, police and the head of the Union Steam Ship Company. Coverage was only seen by mainlanders after a cameraman rushed to Kaikoura and filmed a TV set that could receive a signal from Wellington, then returned to Christchurch so the footage could be broadcast. Made in 2008, this documentary chronicles the Wahine disaster, from the ship leaving Lyttelton to the last survivor being pulled out of the water. Interviewees share their experiences — some make it ashore in life rafts at Seatoun, others are washed up on the “battlefield” of the Pencarrow coast. The Wahine’s crew offer insight into the conditions the ship was sailing in, and of their gradual realisation that it couldn’t be saved. 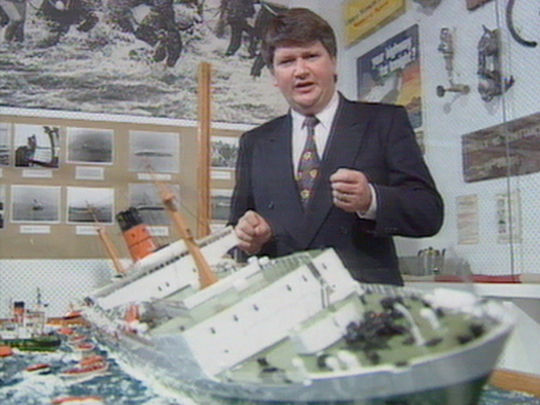 The TV One programme also features animated scenes of the ill-fated journey, which mimic the black and white news footage of the disaster unfolding. Here is the News surveyed Kiwi television journalism up until 1992. Presented by Richard Long, this 10 minute excerpt looks at radio and TV coverage of the Wahine disaster, where over 50 people died after the interisland ferry struck Barrett Reef, on 10 April 1968. 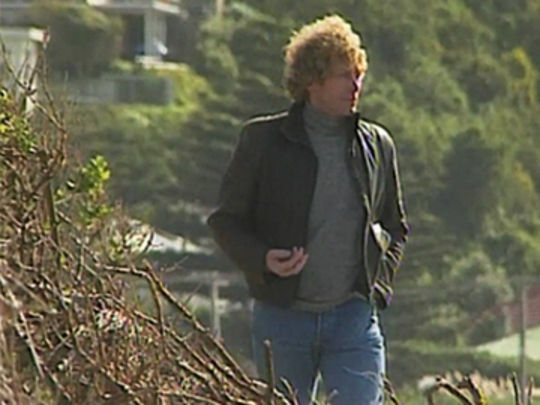 NZ Broadcasting Corporation reporters Keith Aberdein, Fred Cockram, Nadoo Balantine-Scott and cameraman Andy Roelents are among those recalling their experience of the storm, and the challenges of covering the tragedy — and broadcasting it across New Zealand, in the days before nationwide transmission. This award-winning documentary chronicles how events unfolded for passengers on the morning the ferry Wahine hit rocks in Wellington Harbour on 10 April 1968. Aside from interviews with survivors and crew, there are memories from two key rescuers — tugboat Captain John Brown and policeman Jim Mason — who both saved many people from rough seas. Writer Emmanuel Makarios argues that a distance of 20 feet would have made all the difference in avoiding disaster. This 2008 programme was made and narrated by Sharon Barbour, later to become a BBC reporter in England. 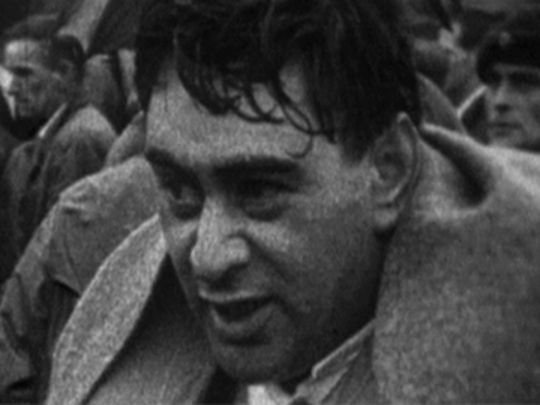 Brian Edwards was working as a television reporter when the Wahine sank on 10 April 1968 in Wellington Harbour. 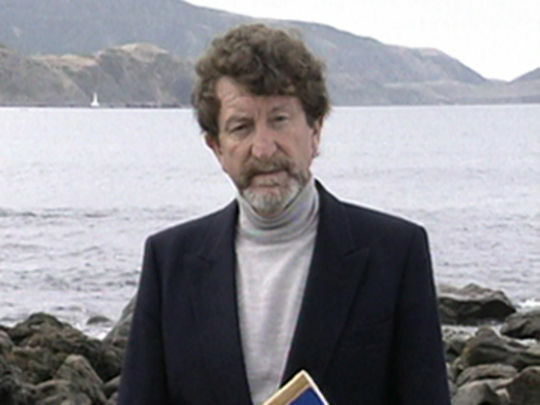 Twenty-five years later Edwards presented this TV3 documentary about the tragedy, which remains New Zealand's worst modern maritime disaster. Wahine - The Untold Story interviews passengers and crew, and features harrowing rescue footage and stills. Interviewees criticise the way the evacuation was handled — "we'd been lied to continually" — while helmsman Ken MacLeod remembers the challenges of trying to keep the Wahine on course. This special report from late 80s/early 90s current affairs show Frontline looks at the Wahine disaster, on its 25th anniversary. Fifty-one people died on 10 April 1968 after the interisland ferry struck Barrett Reef near Wellington, in a huge storm. 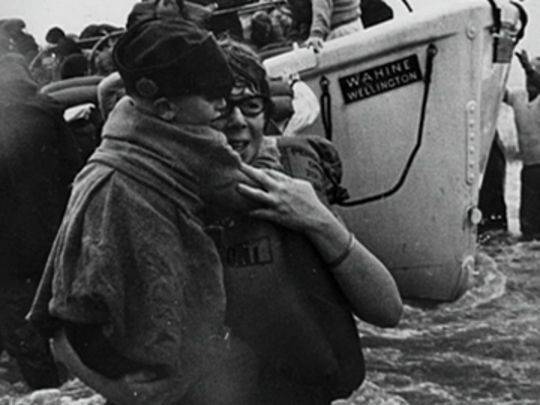 The first part ('From Reef to Ruin') features archive footage and interviews with survivors and rescuers. In the second part ('Fatal Shores'), reporter Rob Harley examines whether the ferry could have been better equipped, and more lives saved. A third part ('Strait Answers') is not shown here due to copyright issues with some of the footage. This 2013 TVNZ Heartland series saw veteran newsreaders present major moments in New Zealand history. In this episode Dougal Stevenson looks back at the Wahine disaster of 10 April 1968, when 51 people perished after the interisland ferry struck Barrett Reef near Wellington, in a southerly storm. Stevenson was a junior newsreader at the time. 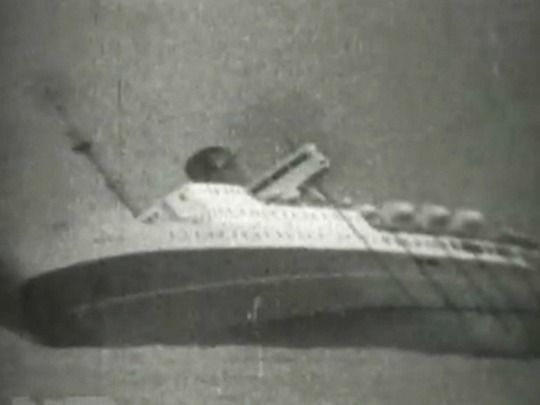 Along with archive footage, two eyewitnesses are interviewed: passenger William Spring, who recalls leaping from the capsized ship; and Roger Johnstone, who describes filming the disaster as a young NZBC cameraman. 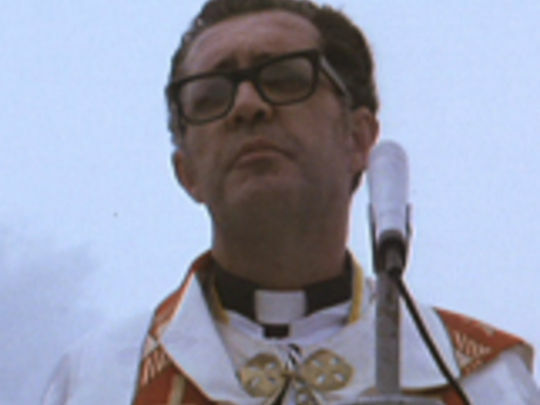 The focus of this short film is a memorial service on Seatoun Beach, five years after the sinking of interisland ferry Wahine on 10 April 1968. More than 50 people died when the ship keeled over just inside Wellington Harbour, after hitting a reef during a ferocious cyclone. The ferry had been in service just 20 months. National Film Unit director Sam Pillsbury uses archive footage of the sinking, along with reconstructions and recreations of radio reports. The memorial service itself was recreated for the film. There are also images the attempted salvage operation.